This galley style kitchen design is a bright space featuring Dura Supreme cabinets in a white finish with a matching wood hood and paneled Sub Zero refrigerator. 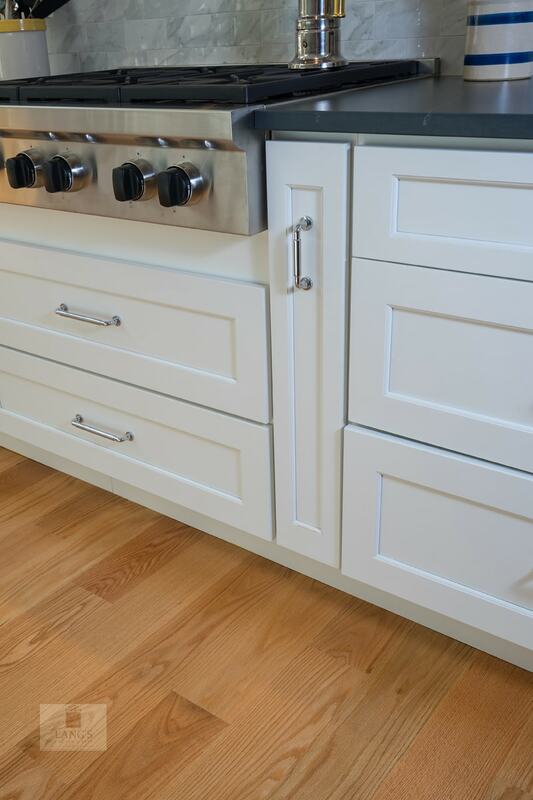 The cabinetry is contrasted by a Silestone countertop and accessorized by Top Knobs polished chrome hardware. 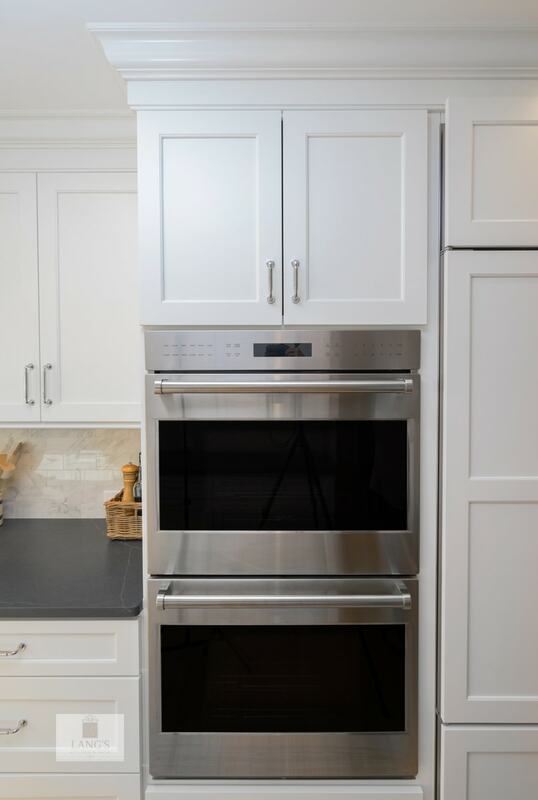 This galley style kitchen design is a bright space featuring Dura Supreme Highland door style in a white finish. The kitchen cabinets are contrasted by a Silestone countertop in charcoal soapstone color with a suede finish, accessorized by Top Knobs polished chrome hardware. 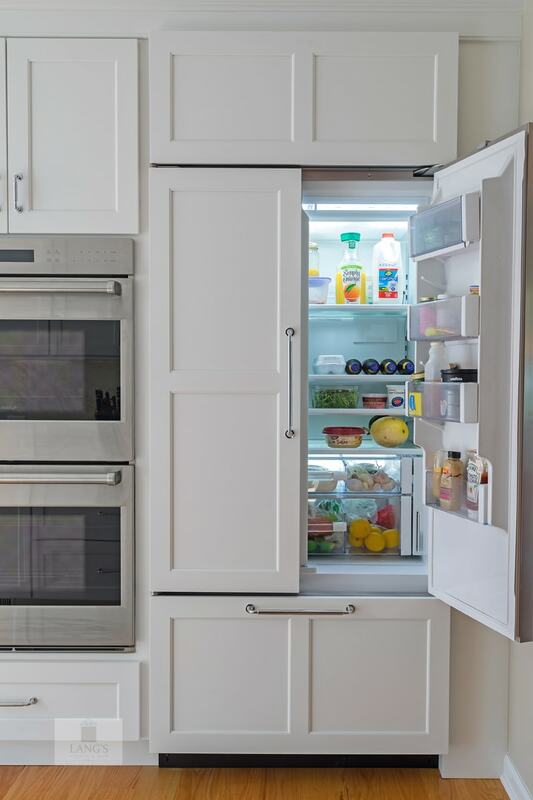 A paneled Sub-Zero refrigerator and Asko dishwasher match the cabinetry. 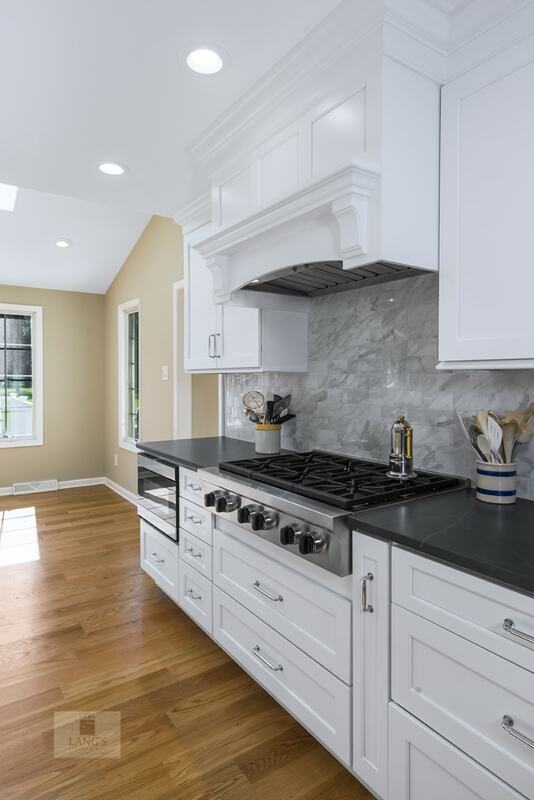 A custom wood hood with a Modern Aire hood liner also matches the white cabinets, giving the kitchen a fluid appearance. 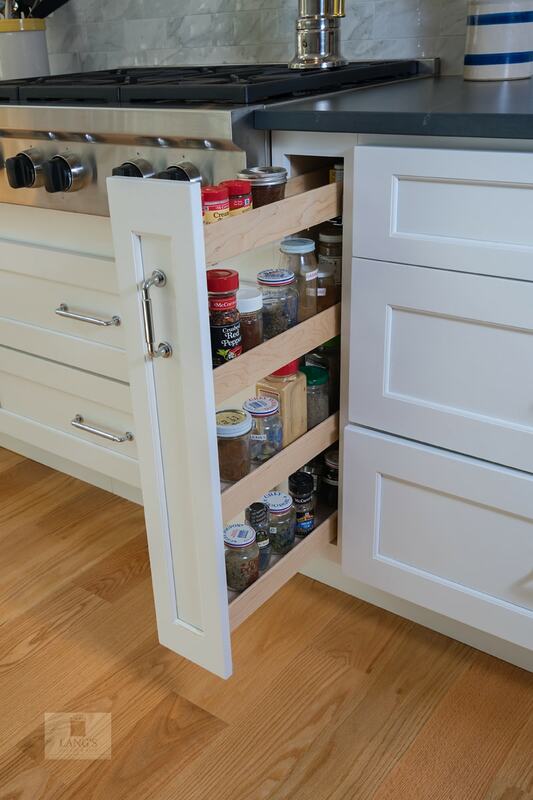 The kitchen cabinets include ample customized storage solutions, like the pantry cabinet with roll out shelves, narrow pull out spice rack, and tray divider. A large C-Tech undermount sink pairs with a Riobel pull down sprayer faucet and soap dispenser. 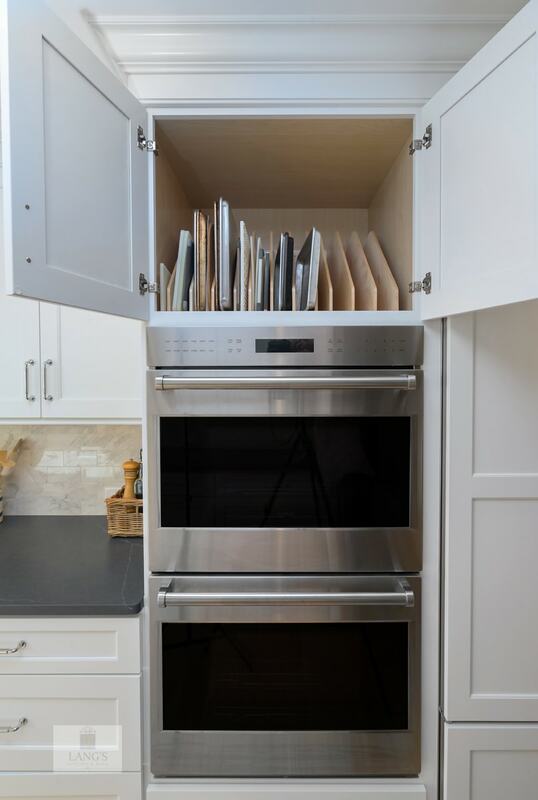 A Wolf double wall oven and range offer the perfect tools for cooking favorite meals, along with a Sharp microwave drawer. The bright space includes Andersen windows and a large skylight, which offers plenty of natural light. Hafele undercabinet lighting keeps the work spaces well lit, and accents the porcelain tile backsplash.